Recorded at Deep End Ranch, Santa Paula, CA. Recording chain: All mics recorded straight into a Tascam HS-p82, at 96/24. One R-122 off the front of the cello, tipped up to bring the vocal into the mix. For ambience, a spaced pair of Mojave Audio MA-101fets were positioned 5 feet back from the cello and above the frame of the A cam, set for omni and mixed back 6-7db, panned hard left and right. 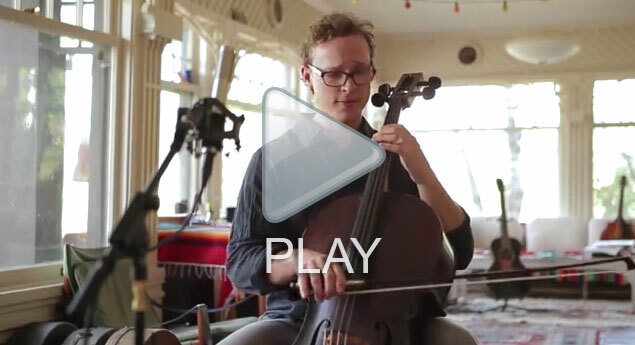 Posted in Ben Sollee, Cello, R-122, Stephen Schauer, Stephen Schauer, Video, Vocals.